If you want to boost your child's academic performance, there are many things you can introduce into their routine. From a set homework time to what they eat, there are tons of things you can modify for an easier time at school. In this post, The Tutoring Center, Sugar Hill GA can share some tips on what kinds of food can help increase your child's concentration. Antioxidants can be beneficial for just about anyone, but when it comes to students, these can really increase a child's attention span. Antioxidants are known to boost concentration and memory as well as stimulating the flow of blood and oxygen to the brain. 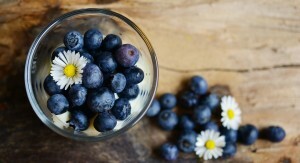 A great antioxidant rich snack your child is sure to love is a plate of blueberries. Citrus fruits are a great alternative most children love. We know that leafy greens may not be your child's favorite, but they're worth the slight struggle. Leafy greens contain antioxidants as well as B vitamins which all help with memory, focus, brain health, and brain power. Remember that the greener the leaf, the better. Hydration is key when it comes to keeping your body working efficiently. If your child stays properly hydrated, brain functions like thought and memory processes will be more effective and efficient. Help your child think faster, fight off headaches, and stay more focused by ensuring they're drinking plenty of water. Students who could a bit of extra help with their academics will benefit from the academic programs offered at The Tutoring Center, Sugar Hill GA. Learn more about these programs by giving their tutors a call at (678) 926-9475.